The Victorian Government has taken steps to grow the potential of the state's sea urchin fishery by introducing a new licensing and quota system that provides urchin fishers with more secure access to the fishery and business confidence to invest in their businesses and to develop local and overseas markets. Sea urchin may now be harvested in eastern Victoria and Port Phillip Bay under a newly created Sea Urchin Fisheries Access Licence. The new regulatory arrangements came into effect on 1 August 2014. The sea urchin fishery has been operating as a 'developing fishery' under permits since 1998. Following ongoing interest by fishers to transition this fishery to a more secure licensing arrangement, a new management framework has been designed to facilitate investment and growth in this potentially high value niche product. The regime will ensure long-term sustainability, economic efficiency and cost effective management of the fishery. By securing long term fishing rights, the industry will now be able to invest in growing markets to supply local and overseas markets with this increasingly sought after delicacy. Currently, sea urchin will only be harvested in eastern Victoria, primarily out of Mallacoota, and in Port Phillip Bay. The new fishery will be managed under a conservative Total Allowable Commercial Catch (TACC) and divers will only be allowed to collect sea urchin by hand. Further growth of this fishery in other areas of Victoria will be considered over time. Catch of sea urchin will be monitored to ensure ongoing sustainability. Fishers will be required to report their fishing activity, including their catch, using a newly developed mobile smart phone technology in the form of a fishing App. This easy- to-use technology has been developed to reduce paper-based reporting requirements and provide cost effective fisheries enforcement, thereby reducing cost to industry. 1. How was the quota allocated? Fishers have been commercially fishing for sea urchins under a developing fishery permit for over 15 years in the Port Phillip Bay Zone and in the Eastern Zone. Quota in these zones has been allocated equally among these permit holders. 2. How can I get into the fishery? The licence numbers for this fishery are not capped therefore, after 10 October 2014, anybody can apply for a sea urchin licence (fit and proper requirements and eligibility criteria apply). However, a licence will not be issued unless the applicant is able to secure a minimum number of quota units (equivalent to 20 tonnes of quota) to append to their licence. Fees and levies apply to any licence issued. If you do have a licence, or intend on getting a licence, you may be able to purchase quota from the existing new quota holders if the licence holder is willing to sell quota. Additionally, it is expected that in the future, quota may be allocated in the Central and Western zones. 3. Will the introduction of this fishery impact on recreational fishing? 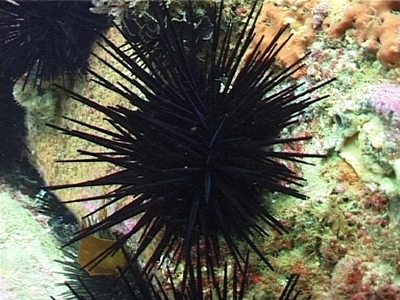 There is no change to the current rules applying to recreational fishing for sea urchins. The existing 20 daily bag/possession limit will remain. Commercial fishing for sea urchins has been occurring in Port Phillip Bay and eastern Victoria for many years and, because of the benign fishing method (hand collection), there is little interference with other recreational caught fish species or recreational fishing activities. 4. Where will the commercial sea urchin divers operate? The commercial sea urchin divers will continue to fish in the areas which they have been fishing over the last 15 or more years. The only fishing zones which have been allocated quota is the Port Phillip Bay Zone and the Eastern Zone (figure 1). The fishery will be carefully spatially managed to ensure long term sustainability. 5. How will the commercial sea urchin fishery be managed? The Victorian Fisheries Authority have developed a set of precautionary baseline management arrangements for the Sea Urchin Fishery. The fishery will be managed under a conservative Total Allowable Commercial Catch and divers may only collect sea urchin by hand. Additional monitoring and reporting requirements apply (Table 1). Cost recovery to apply for management, compliance, research and administration. 6. Where can I find out more about this new fishery? You can read the detailed management arrangement here: sea urchin management arrangements.